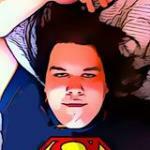 There are 11 posts in this thread, and it has been viewed 26782 times. There's also files attached. 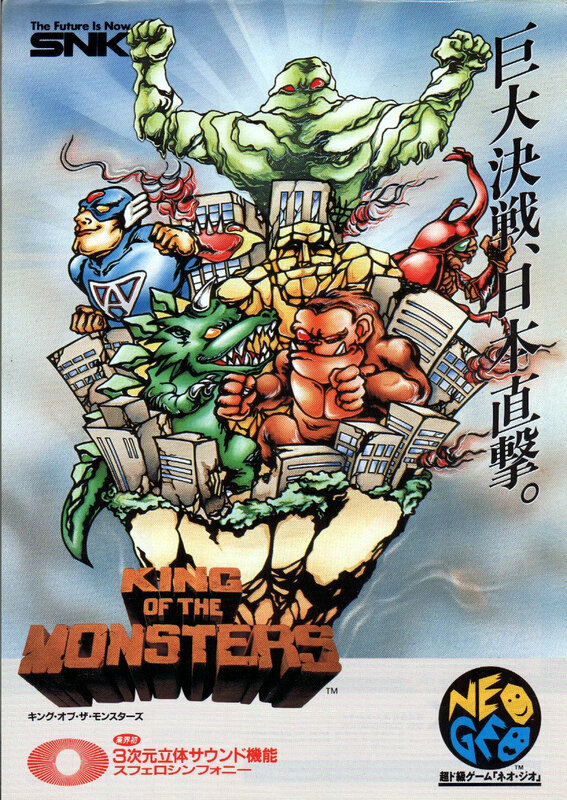 King of the Monsters... Monster mash or epic crap? 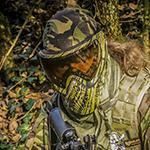 Game FAQ attached - see the end of this post. Also available on SNK Classics Vol. 1 on the PS2/PSP. 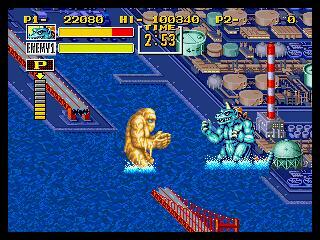 Think Godzilla in Neo Geo form; that would be the best way to describe King of the Monsters. It is a fighter/grappler, and one of the most noticeable things at the time of release was how almost everything you see can be destroyed. Buildings and more tumble during the battles; while it doesn't look amazing now, at the time it was very impressive. 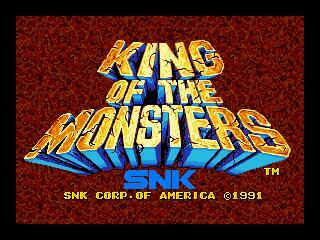 King of the Monsters music is available in the SNK Jukebox! I used to watch those games on GamesWorld too. I bet if we watched GamesWorld now it would be terrible. Do you remember that rubbish strip-pontoon game thing they use to have? 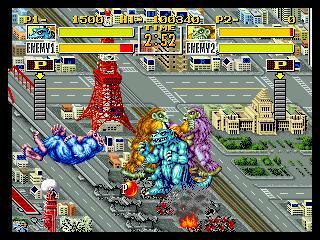 I haven't played this but I do have King of Monsters 2. I haven't really played it much but it did seem a bit repetitive - the time I did spend with it. I really used to want it too when it was on GW. I would like to give it a proper go. I can't say that game is madly good. The comic style graphics are okay. The monsters seem to be more or less from various films and animations. Geon looks a lot like Hanna Barbera's Godzilla. Woo does look a bit like King Kong. Poison Ghost doesn't really look like a ghost unless its like the ghost from Ghostbusters. Rocky looks like a giant stone golem. Astro Guy looks more like a spoof of Captain America. Beetle Mania is my favourite fighter, he should have been called "Beetle Bub" to give the devil style from Satan's alternate name "Beezlebub". 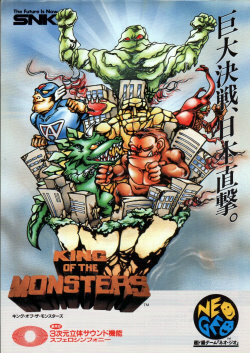 I prefer the Super Nintendo version of King of the Monsters. The controls are much better than the arcade version controls. It has 2 of the monsters and cities missing, but the high quality sounds and music more than make up for it. I just love this game...yes, it may be really repetitive, but it's so much fun to play...I love stomping on buildings while beating up another weird over sized monster. Graphics are still pretty good nowadays and the music really fits this comic style game. As a Gojira (Godzilla) fan I can recommend this to anyone who loves to destroy things (in a video game off course). So on that flier I can spot clones of both Captain America and The Thing from the Fantastic 4. The characters look less like their Marvel counterparts in game so I never noticed before. If it was intentional it seems like a cheap ploy to garner attention for a game that fully deserves attention on it's own merits. I love it. I remember playing it all the time on the SNES. A fun little time killer, made for the Godzilla enthusiast. The only thing I don't like about it, is the unfair A.I. But once you lower that difficulty, it becomes pretty balanced. Now the sequel, that is a pretty poor game. For everything good about it, there were two things that were just horrible, including the cheapest end boss in the history of SNK (far cheaper then God Rugal I can guarantee you). 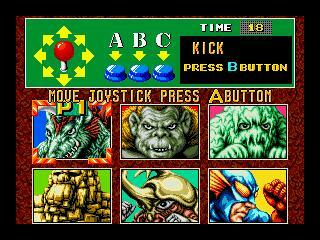 This game takes button mashing and turns it into a main gameplay feature. It's a cool idea but the simplicity, constant mashing, lack of variety and poor hit detection makes it a pretty boring game. Add ridiculously cheap AI and overly long single player mode and it quickly becomes a chore to play. The best things about the game are easily the fantastic soundtrack and the comic style (including a funny ending) of the game but in my opinion the sequel, after cranking up the unfairness even more, does absolutely everything better by a mile. It's one of the few games on the SNK Arcade Classics collection that I simply can't bring myself to play even for the medals. While it's not one of my personal favourites I do quite like this game. I like the style of graphics and provided you don't let yourself get too frustrated with the unfair AI it's fairly enjoyable to play. One thing I like is that you have a good choice of different monsters. I would have preferred it in the sequel if there were more than 3 monsters to choose from. Having said all that I do agree with HexElf that the sequel is definitely the better game. It would be interesting to know which game other people here prefer out of the two. Judging by the reviews Kaz seems to prefer the first game. I know what you mean Jak about that last boss in KOTM2. That boss really has to be seen to be believed. It's huge taking up a large part of the screen, very hard to avoid and has a ridiculously long lifebar. The graphics in the sequel are a big improvement in my view and the scrolling sections add a bit of variety. 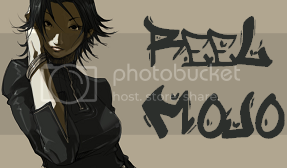 I only have this on the PS2's SNK AC Vol1. It's probably not NeoPerfect... but I still get the point. I KNOW that people back in the day will hold this with reasonably high regard due to nostalgia (I would've) but all in all, this is a really bad game. Sorry. I tried it, I have a big threshold for bad games, and it's not often I feel like I'm actually wasting my life (actual lifetime), but playing this game is unnecessary. I understand it probably looked pretty cool back in the day, but so did Mario on the NES... and thats STILL astonishing to play today! Well, it's essentially a Wrestling game. How many wrestling games do you know of that aren't button mashers? It wasn't destined to be a tournament fighter where you can spend a lot of time on perfecting every kind of link, super, trap, and grabs per character. Look at WWF WrestleFest, it's a button masher, but it's a fun button masher like this game. I'll give the sequel a second chance (this time I'm going to drastically lower the A.I.) and see how it goes. I remember hating Shock Troopers 2, and I gave it a second chance and kinda' liked it. Don't get me wrong, Shock Troopers is still top dog for overhead run 'n gun (along with Ikari Warriors and Smash T.V.) and would get a 10/10, whereas the sequel would get maybe a 7 or 8 out of 10. I always loved the concept behind this game but the execution definitly leaves alot to be desired. Ive spent a good deal of time playing this game years ago and enjoyed it for what it was. It hasnt seen the inside of my cabinet in a long while mostly because these days its probably more entertaining to watch in attract mode than it is to actually play it.